Our inventory consists of hand picked quality vehicles most still under full manufacture warranty. These vehicles undergo a multi point inspection and a reconditioning process so you can expect only the best. Worried about your credit? Our experienced finance team will work for you to get you the lowest possible finance terms available! We have relationships with many lenders that help to start and reestablish your credit no matter your situation. At OK Auto Mart we treat our customers with respect, integrity and ethics. We have an incredible reputation which gives us an A+ with Better Business Bureau. 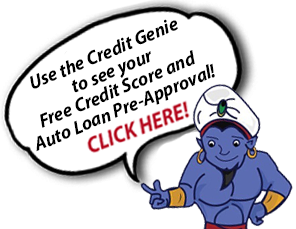 We offer some of the best financing programs in Michigan to tailor to your credit situation. We look forward to assisting you in your vehicle purchase. Our customers love us! See what they’re saying about us! Purchasing a vehicle is one of the biggest decisions you will ever make. We want to make sure you are comfortable and understand your purchase! Browse OK Auto Marts large inventory of used cars and trucks today - you can view the details of each vehicle online right on our website! You'll find Ford, Chevrolet, Dodge, GMC, Honda, Jeep, Kia, Hyundai, Toyota and most other makes of cars and trucks you might be looking for. We help people from all over Lansing find the car or truck of their dreams! OK Auto Mart has a strong and committed sales staff with many years of experience satisfying our customer's car needs. Feel free to request more information about a specific vehicle, set up a test drive for your car of choice, or inquire about auto financing! Stop in and visit with us today - you can bet we'll take care of your automotive needs!